Public thirsting for ‘good news’? Once in a while — maybe more often than we realize — the public seems to grow weary of the constant barrage of negativity it gets on TV, newspapers and other forms of media. Thus, when we get a good-news story to hang on to, we grab it with gusto, unable to let it go. Do you recall the time Chesley “Sulley” Sullenberger flew that jetliner onto the Hudson River, saving the lives of the more than 100 passengers and crew? We loved that story. We cherished the cool, calm, collected nature of the flight crew that Sulley commanded. We were being battered by bad news at the time. We wanted to keep cheering Sulley and his crew. I am waiting to cheer some rescuers in Thailand for very much the same reason, not to mention that 13 lives are at stake. 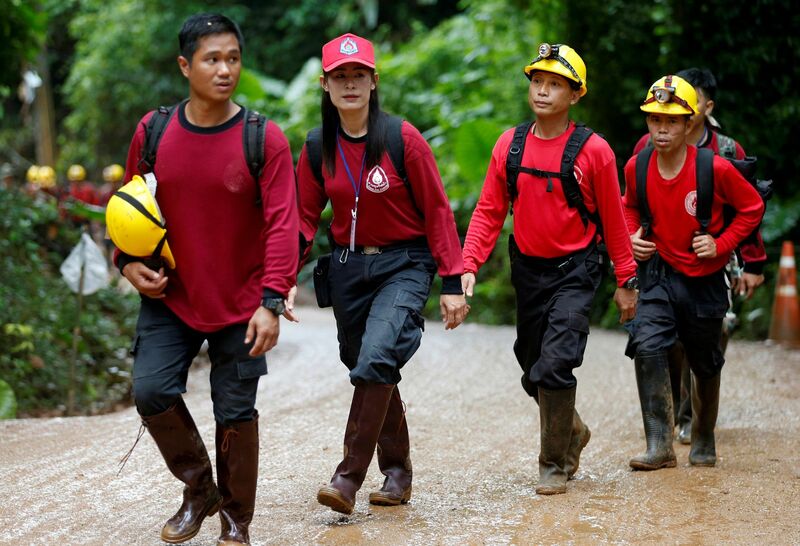 Eight boys have been evacuated from that flooded cave in northern Thailand. Four more boys remain trapped, along with their soccer coach. I join the rest of the world in hoping — and, indeed, believing — the rest of the boys and their coach will be taken out safely. They will all be reunited with their families. Their lives will go on, albeit after some serious emotional and perhaps psychological rehabilitation. One aspect of this story that I find particularly heartwarming has been the reaction of the boys’ parents regarding the coach to led them into the cave in the first place. They are refusing to blame the coach for the predicament that trapped the team for more than two weeks. The team walked into the cave. They got deep into the bowels of the cavern. Then the rain came. It poured! The deluge that no one predicted trapped the boys and their coach. The parents’ generous spirits have lifted my own spirits as I join the rest of the world in watching this drama unfold in real time. We want this story to end well. I am now officially quite hopeful that it will. We need a reason to smile and to wish Godspeed to these youngsters, their coach … and the responders who have risked their own lives to save the lives of others. Chesley “Sulley” Sullenberger landed an airplane in the Hudson River, saving the lives of passengers aboard the USAir jetliner. They need to make another film about a heroic pilot. Her name is Tammie Jo Shults, who this week saved the lives of more than 100 passengers when a Southwest Airlines jetliner — bound from New York to Dallas — she was flying suffered a grievous engine failure. The engine exploded, sending shrapnel into the fuselage. It knocked a window out, nearly pulling a passenger out of the aircraft, which was at 33,000 feet when the incident occurred. The passenger suffered mortal wounds from the incident. Shults’s reaction, though, has been hailed as nothing short of heroic. She quickly took the plane into a descent. The plane’s oxygen masks were deployed. Shults’s cool, calm and measured demeanor as she radioed to the nearest aircraft tower of her emergency has been recorded and noted. “We have part of the aircraft missing, so we’re going to need to slow down a bit,” she’s heard calmly telling air traffic controllers in audio transmissions after reporting the aircraft’s engine failure. “Could you have medical meet us there on the runway as well? We’ve got injured passengers,” Shults then requests. The captain of the ship did her job flawlessly. 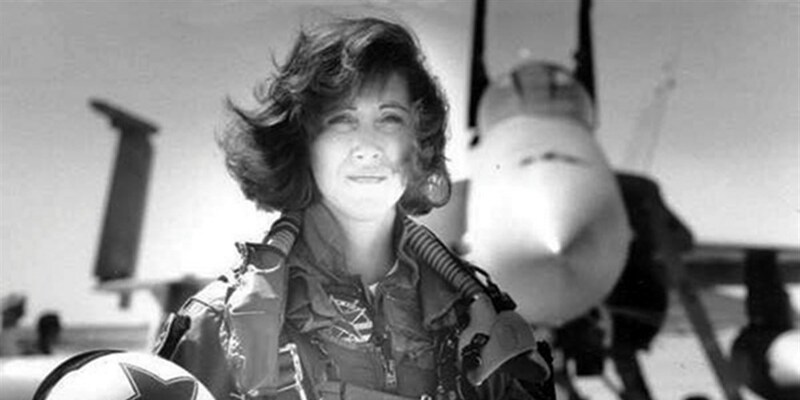 Her training as a Navy pilot stood her in great stead as she took the plane to a safe landing, saving many more lives. I’ll add, too, that only about 6 percent of U.S. commercial airline pilots are female. The investigation will go forward. The National Transportation Safety Board and the Federal Aviation Administration will get to the bottom of the what went wrong and presumably recommended ways to prevent this kind of event from recurring. After all that is done — and I know I’m not the first person to offer this view — they need to make a movie about this amazing feat.